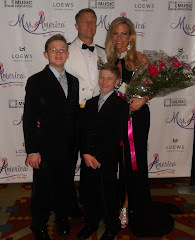 Mrs. Washington America 2010 - Carla Richards: Congratulations "All That Shimmers" Wedding Boutique - Winner of King 5's Best of Western Washington! 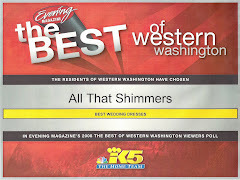 Congratulations "All That Shimmers" Wedding Boutique - Winner of King 5's Best of Western Washington! Congratulations to "All That Shimmers" Wedding Boutique for winning King 5's Best of Western Washington for the 3rd year in a row! 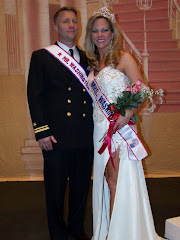 The owners have been so gracious and supportive while cheering me on to win the title of Mrs. Washington. I was honored to be asked by the owners Karen Martin (not pictured) and her husband Matt (pictured above) to be a model for King 5's News coverage of their success. Modeled a mermaid wedding dress - so much fun to be a bride again! I was in beautiful company as you can see! Three wedding dress designs featured here: "the wrap". the "mermaid" and the "corset".